Supported by a rust-free aluminum frame and featuring a handwoven synthetic wicker construction, this Panama Jack Key Biscayne dining table offers a sturdy, lasting design that requires minimal maintenance. 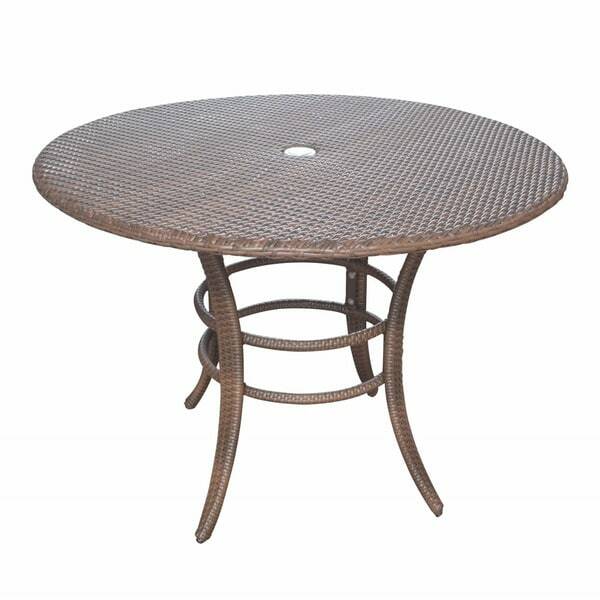 Let this table add style to your yard. I bought this table because the price and size were right... I already had a 42" glass top that fits perfectly on it. The table looks great. However, if you pull up a chair close enough to eat, you're gonna bust your shins on the rings holding the legs together.